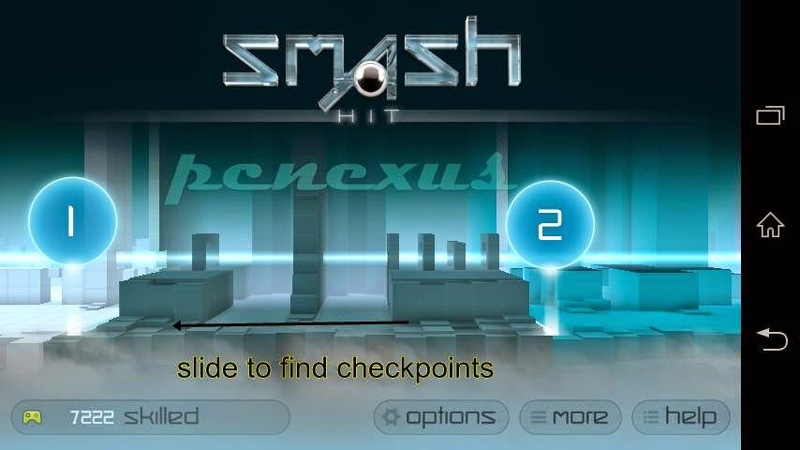 Smash Hit is an android game developed by Mediocre. The game includes wonderful glass breaking physics and real time sounds. Smash Hit includes out of the world places in which we have to break glass objects in various dimensions by throwing balls. You can throw multiple balls to break glass objects by touching the screen on multiple points. Suppose if your phone supports 4 multi touch points then you can throw 4 balls at a time to break the glass objects. In the free version you can not continue the game from the last checkpoint. So just buy the game on play store for full enjoyment. Tap start. Now tap the screen to throw balls to break glass objects. Break blue crystals to collect three balls. Break 10 crystals in a row to collect multi-balls. Upto 5 multi-balls can be collected and thrown at once. If you crash into any glass object you will lose 10 balls. 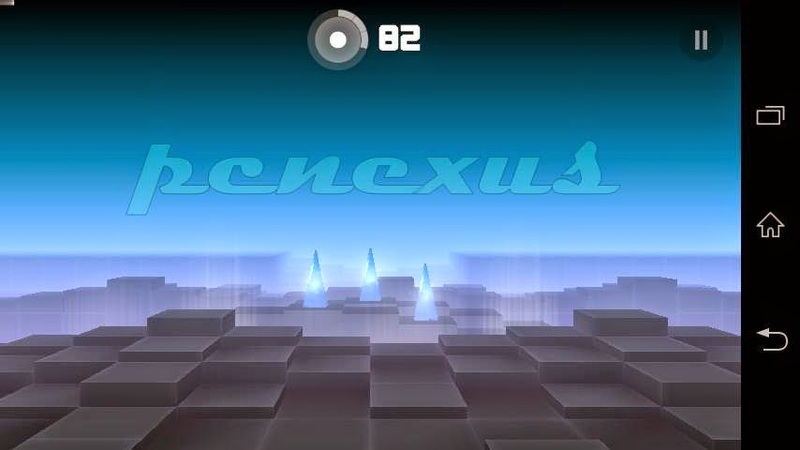 To continue from last checkpoint, start the game and slide towards left to select the checkpoint. Tap the checkpoint to start play the game from where you left it. It is only supported in paid version.